Nigerians are on the lookout for new scintillating musics especially by musicians whose former tracks were adjudged good. Each months different outflow of music reverberates the streets of towns and cities. In villages which hadly gets electricity, portable phones resound these musics. Added to this is that FM stations never fails to resound music. This april isn't a different month as there're much new releases by popular musicians as well as with those releases months before but still trends. Starting from late 2018, the YBNL Boss, Olamide has been the artiste savouring the airwave. Now, he serves us with a brand new single “Totori ” which has featured Starboy Boss, Wizkid . His previously released singles are “Buga Small Small ” and “Woske. These two artistes makes a savoury collabo. Victor AD came to limelight upon his release of hit single "Wetin You Gain". The title which has now turned to a popular phrase has turn Nigerians into liking the single. The musician has featured alongside many other musicians, however this time he features DMW boss, Davido in a hit track titled " Tire You". 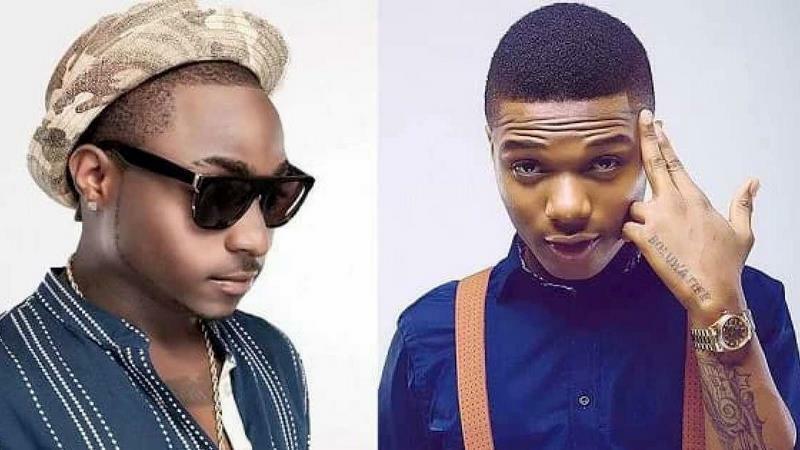 Aside Olamide, Davido seems to be the other musician who is enjoying the current playout of things in the industry. Accepted by Nigerians because of her hot single 'Case', Teni continued in her streak with 'Uyo meyo'. Adding to her growing collections is a new single titled 'party next door'. Teni who is currently touring the UK, Paris and presently in the US drops this one to kick start 2019 with. The controversial mucisian and Flyboy inc boss, Kizz Daniel has a song that still trends this month. He titled it "Madu" which means person and files it in his debut album "No Bad Song". This another new release by Otunba Lamba, Slimcase featuring 2Baba, DMW star Peruzzi, as well as prolific disc jockey DJ Neptune and Larry Gaaga. It's a cool release no doubt. The controversial Nigerian musician who had been handpicked by Nigerians online as the one dating Tiwa Savage has yet released another music. He titles the single 'Jah Bless Me'. The seperated peter of psquare who has chosen to be curtly known as Mr p has since seperation release some enjoyable music. This time he partners with Niniola which has the title “One More Night”. Lil kesh has always release his songs far unique from what others do. This fact could be easily traced in his latest release. From all the names available to name a song, he chosed 'Undertaker'. This stresses his unique identity in the Nigerian music industry. It's a trending hit currently. While in preparation for his tour of the UK, the star musician has release yet another single which he names ‘Fv*k You’. The song has him talking about a promiscuous partner messing around as well as rapouring with other notable industry names. The song was produced by Young John. Davido this time around went with Fuji music icon, Pasuma to make a new hit of 2019. The record is titled “Amen”. It's a must download.